All rounds must be booked in via the online BRS system. Payment of membership fees are paid in full in advance or by direct debit. Refunds are not permitted. Full Members have full voting rights. A Full Member may not downgrade their membership during the membership year, unless approved by Council. When booking 9 holes it will always be for the front 9 unless otherwise agreed with the Pro shop. Upon entering any competition, they are eligible to play in, flexible members must pay the same entry fee as ordinary members. If a partial round is played, this will still cost the same number of points as the equivalent full round. If member has insufficient points, they may play on payment of the appropriate green fee, or by topping up their points prior to playing. Cannot play in competitions without having the appropriate points in advance. Payment of fees and any subsequent top up payments are paid in full in advance and refunds are not permitted. Points have no redeemable value. Points may not be used to hire buggies, to pay for guests, food & beverage items, retail product or any other product. A Flexible Member can play as a guest of another member without using their points upon payment of an appropriate green fee. A Flexible Member may bring guests to play but cannot use their points for their guests. The appropriate green fee for their guests must be paid. Points cannot be carried over into a subsequent year, unless Flexible Membership is renewed. Can attend but cannot vote at the Annual General Meeting or any Extraordinary General Meetings. Cannot enter Board/Majors competitions or club knockout competitions. Cannot represent the club in golfing matches. Flexible Members have the option to upgrade to full membership during their period of flexible membership. A member may not downgrade their membership during the membership year, unless approved by Council. Changes to the Points table or Competitions you are entitled to play in are at the discretion Walmersley Golf Club Council. Any changes will be communicated via email and the Club’s notice board, giving at least 14 days’ notice of the change. Payment of membership fees are paid in full in advance. Refunds are not permitted. Cannot play in Board/Majors competitions or club knockout competitions. Option to upgrade to full membership during the year. May not downgrade their membership during the membership year, unless approved by Council. Contact the secretary for terms and conditions. If social members wish to play golf they can do so as pay and play guests. A couple is: All married and legally co-habiting and civil partnership couples (irrespective of gender).  10% couples discount is on the membership subscription before: England Golf fees, Lancashire Golf fees and locker fees. We may change these terms and conditions from time to time, but we will always communicate these changes via email and the Club’s notice board, giving at least 14 days’ notice of the change. All memberships must adhere to WGC Rules.